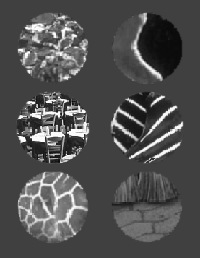 My research is in computational vision, in particular how to integrate mechanisms for visual recognition and perceptual organization with 3D scene understanding. We apply these computational models to a variety of problems including development of tools for biological image and shape analysis in neuroscience, animal development and palynology as well as applications to forensic science. American Staistical Society SPAIG award for building a statistically sound and scientifically solid foundation for the analysis and interpretation of forensic evidence. Big Data Image Processing and Analysis. USA-Sino Summer School in Vision, Learning, Pattern Recognition (VLPR 2012) Fudan Unviersity, Shanghai, China July 2012. The Eighth Workshop on Perceptual Organization in Computer Vision (POCV 2012), CVPR, Providence, RI.